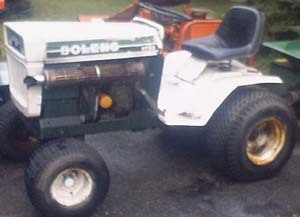 Bolens 1054 with Hydraulics... runs very well! Have snowcaster, mower deck, or shredder attachments available. This has been used in Parades and is pretty clean w/new seat, new pto and drive belts as well. Functions nicely! $995.00 with Deck or Snowcaster. Shredder available as additional option only at this time. QT17_004: VERY clean and neat... 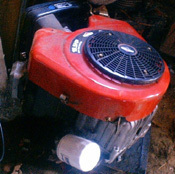 Needs engine installed (good used engine in stock here) and nothing else... have 48" deck and 42" snowblower (equally clean) available for this unit... she's going to be FANTASTIC when done! 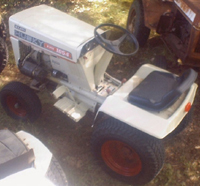 block, 36" Snowcaster, 38" deck, 22" tiller available for this model. Sell Price $699.99 w/ one attachment of your choice. 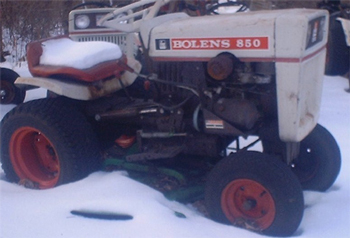 chains, 36" Snowcaster, 38" deck, 22" tiller available for this tractor. Sell Price $799.99 w/one attachment of your choice. 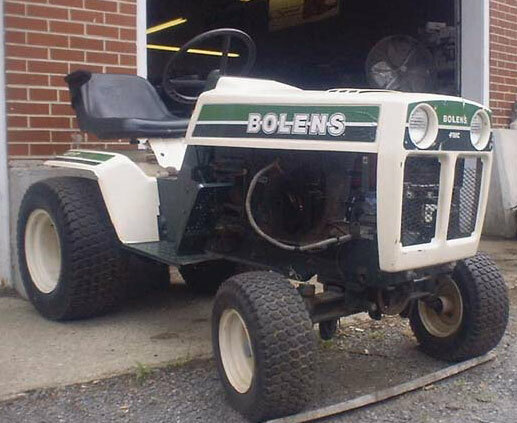 850 Bolens Tractor w/Hydraulic Lift Option. Very Clean and Complete... runs well, too. Sell Price $899.99 w/one attachment of your choice. 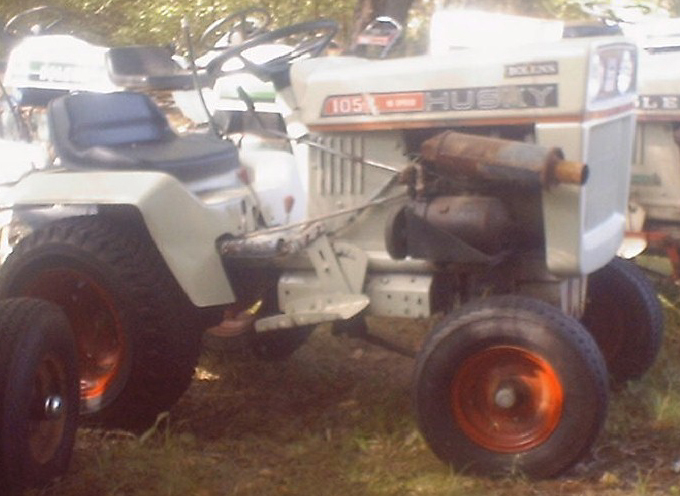 1050 Parts Tractor... looks rough, but complete Could be restore to nice machine. tractors. 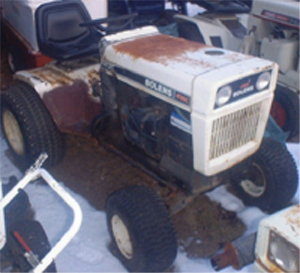 QT17, 17hp twin, ALL hydraulic, VERY CLEAN, 48" deck and 42"
Snowcaster available for this machine. Super Clean B&S 18.5hp Verticle Shaft Engine. Pressure Lube, low hours... NICE!! 20 w/Deck: SOLD @ $1999.99! 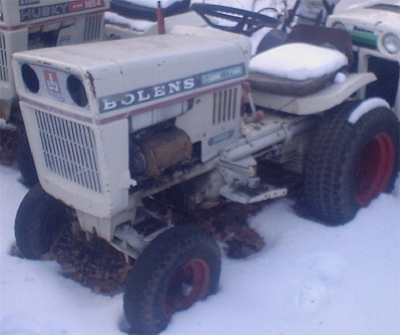 BOLENS HT23 Tractor in good condtion. Includes 54" deck. 54" Hydraulic Front Blade, and 48" Single Stage Snow Caster available As optional equipment. Priced at $2499.99. 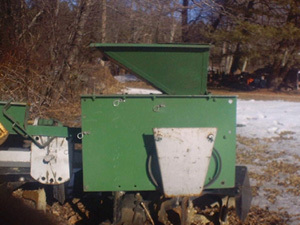 Mighty Mac Shredder attachment (SOLD!!) 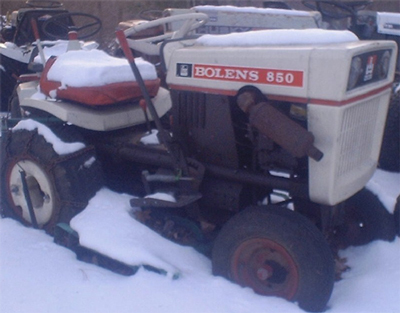 as well as 38"Snowcaster, 42" deck, 33" tiller, 22" tiller, 25" tiller available for Tube Frame Tractors. parts, as well as engine and clutch parts, chassis parts, belts, blades, etc.